In India we have a saying that all one needs for a comfortable life is roti, kapda aur makhan (food, clothes and home.) It is one of the truths of life that you can be pretty comfortable with very little and with the basic necessities of life, and there are a lot of people in India and in the world who live with just that. I was chatting with my mum about money. As she put it, she worked all her life, and while she made enough money, she also spent it all on us and our education and to give us a comfortable life that lacked for nothing. Now that she is retired, she made a conscious decision to travel and stay with us, and to spend any money she had on experiences and family. It made me think about my own life and the role of money in it. I am a lucky woman. I have a husband who makes enough money to provide me and my family with a wonderful living, and I also have a job that enables me to have luxuries like being able to attend conferences, spending money on props and eating out, and generally having a very comfortable life. I also understood that I take this very much for granted, and talking to my mother about this made me understand how privileged my life really is. It also made me realise how important it is to be grateful to the people who make our lives comfortable, happy and fulfilled. 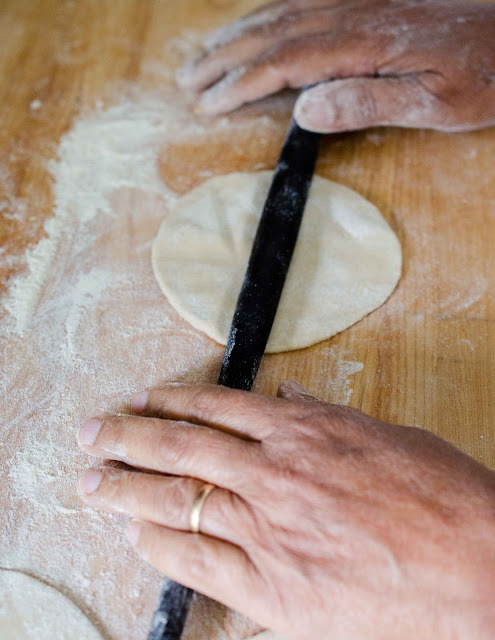 Making roti is one of the most basic skills of Indian cooking. Whether you call it roti, phulka or chapathi, this is the staple of Indian cuisine and the one thing every daughter of the house learns to cook. After all, as Mrs. Bhamra in 'Bend it Like Beckham' says, 'what family would want a daughter-in-law who can run around kicking football all day but can't make round round chapatis?' Ouch. But see, this is my big secret. 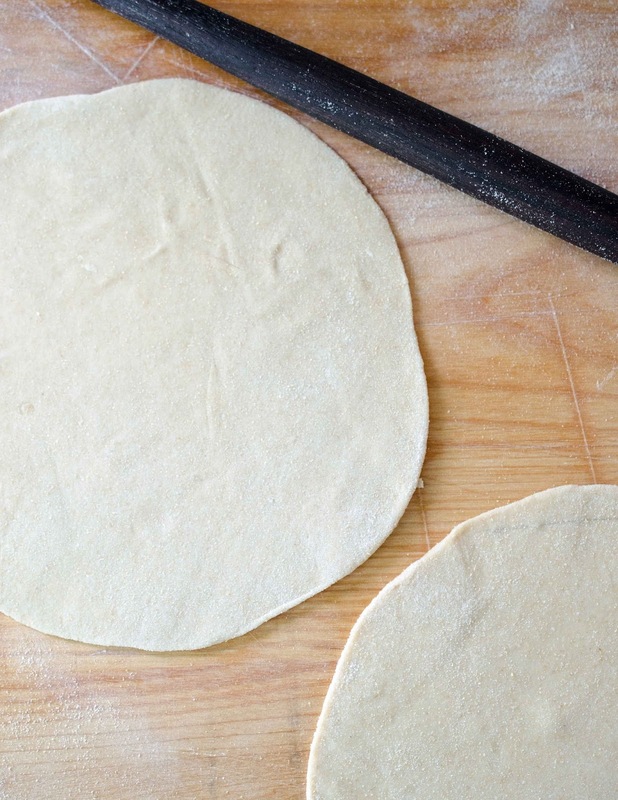 My mom and I have one thing in common – we both really dislike making rotis. I don't know why, perhaps it is the very basic-ness of it. Growing up in South India meant that we usually had rice as our staple meal, rather than rotis, and while mom made the occasional chapathis for breakfast, it wasn't something she really enjoyed making. As for me, um, I was busy learning how to make pasta instead of poppadums. All this changed when Adz, my girl, decided she likes chapathis and parathas. Suddenly, ever the doting grandmother, mom decided she and I would make rotis. When mom came to visit us in England, she used to make a freezer full of rotis, so I wouldn't have to make my disastrous square ones. Thank goodness for not having Indian in-laws, is all I could say. This year, however, I decided it was time, after all these years that I start to make round round rotis. So mom and I sat down, measured out the amount of flour and water we use, the salt, the oil and everything that goes into the dough. Mom snickered, though, she reckoned any Indian daughter should know how much of what to use pretty instinctively. For all her snickering, mom and I did find common purpose. It was time to make our chapathis puff up, and they did. Success, at last. I think mama was relieved. Finally, as Mrs Bhamra said, having just let Jess go to the States, 'at least I taught her full Indian dinner, the rest is up to God', she had fulfilled her duty as an Indian mom and taught her daughter to make round round soft soft chapathis. Sift the flour and salt into a bowl. Make a well in the middle and pour in the oil. 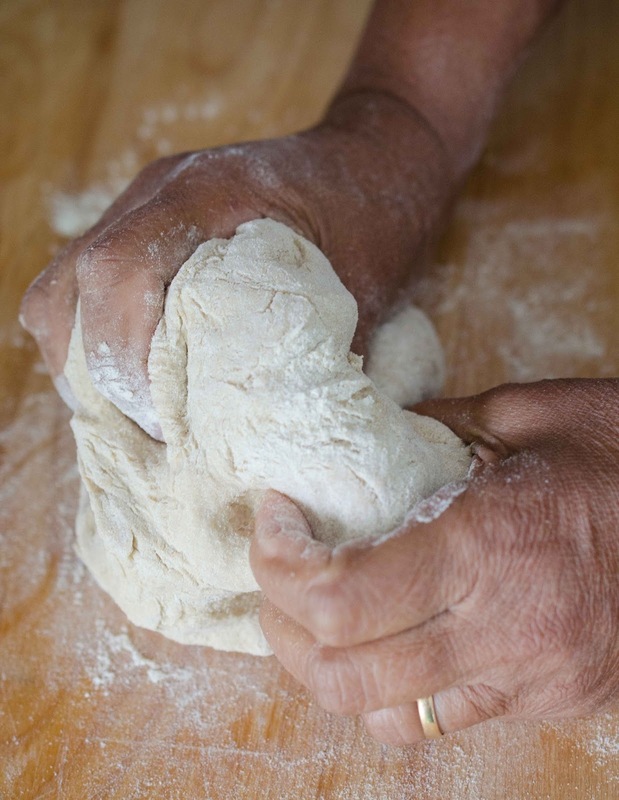 Pour in the water, a little at a time, mixing it in with the flour, until you have a soft dough. Turn out the dough onto a lightly floured work surface, and knead well for 7 – 10 minutes, until it is very smooth and silky. Cover and rest for at least ½ hour. Divide the dough into 10 - 12 equal pieces. Dust your work surface with flour. 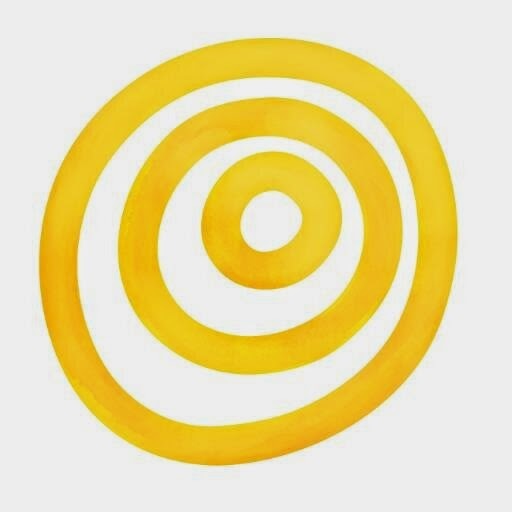 Gently, using a floured rolling pin roll out round chapathis, about 6 – 8 inches in diameter. Heat a non-stick or cast iron pan, on a medium high heat. When hot, place the rolled roti on the pan. 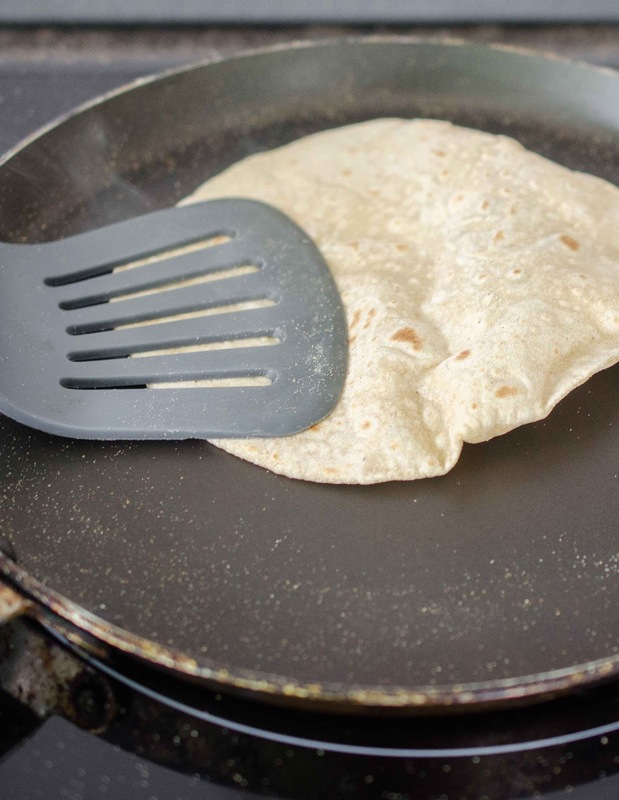 Fry for about 30 seconds to a minute on the first side, and when you see little air bubbles popping on the surface, flip the roti. Cook for another minute on the second side, then flip it again. At this point, press gently at various points on the surface of the roti, and it should puff up. As soon as the chapathi is puffed up, take off the heat. Wrap the rotis in aluminium foil to keep them warm. 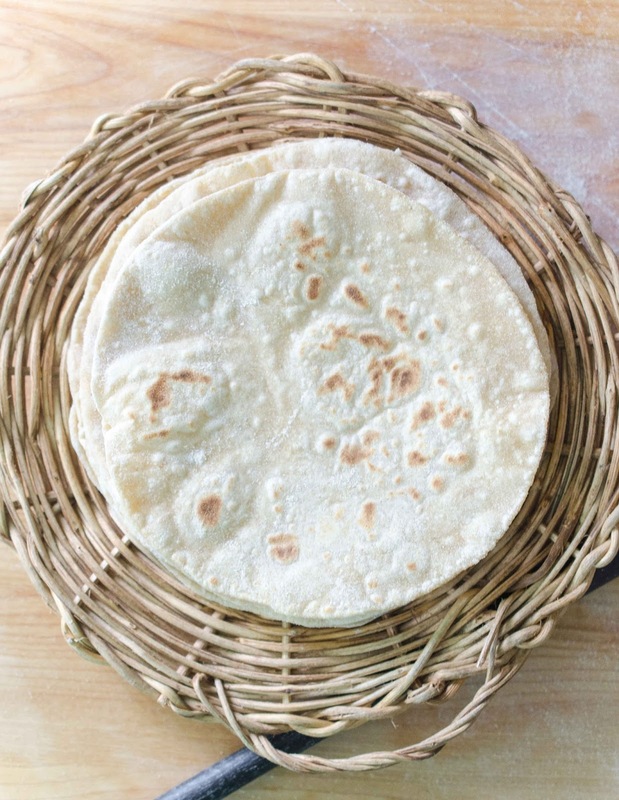 Note: There are several brands of atta, or wholewheat that you can use to make rotis. Mom and I really prefer Pillsbury, and we recommend it. They look great Michelle! I may have to try and make some. Now, where are good recipes for the fillings? Do you oil the pan? My rotis tasted delicious but never puffed up. Thanks! This looks like a great recipe, and I'm looking forward to trying it! You mention in the article how your mom would make enough to freeze. Would you do that after they're rolled out, but before cooking? Hi Adam, she freezes cooked chapathis. This means you just have to take them out of the freezer and either warm them up on both sides in a frying pan, or pop them under the grill. Uh.. can anyone help an Englishman out here, how many grams in a cup? Oh and my tip is after you have a bit of colour on both sides of your roti- put them on an open flame and they should puff up into a ball, be carefull not to burn it though! A cup is 240ml so you can use a measuring jug to do this, I am also a Brit and do this when following american recipes. Remember not to tap the flour down as doing so will compact it a fair amount. instead spoon/skim off any excess when measuring. Alternatively, 1 US cup of atta should equal 130.00g. Hi can i use any normal whole wheat flour? This flour looks very refined. Perhaps I misunderstand the meaning of wholewheat? I prefer NUTTY Wheat here in South Africa but don't know how it will work with rotis. I'll give it a try anyway. Thank you very much for the recipe. Michelle, what exact flour do you think use? The rotis look very white and I like them that way. Pls let me know! Hi Poonam, I use Pillsbury Whole Wheat Atta for these. Thanks for the recipe. It was very useful.Some people add milk to make it more soft and sweet.Some people use Yogurt too.When keeping the dough to rest for 1/2 hour my mom use to cover the vessel with a damp(not very wet) cloth.I think it will prevent moisture from escaping.Applying a small amount of ghee at the end(after removing from stove) will make it taste better.In my home town old generation do a trick to make the puffed.They take a cup of very clean sand put that in a piece of cloth(at the center).Then tie the cloths so that sand stay inside.Like a bag but tight.Put that on the hot pan for some time so that it gets farm.Use this sand bag to press the roti. It will puff much better than when pressing with spoon etc. I also came to know that using lukewarm instead of normal water for mixing makes roti more soft. I made these tonight and they actually turned out well! Thanks for the recipe! My first time ever making phulka! My father was Indian but my mother was not, so I couldn't learn how to make these "at my mother's knee"! Glad there are so many food blogs to fill the void! Tee hee. I have followed your recipe and the results were great. Thank you. Have you ever used a chapathi machine? The one like a waffle maker? Also, is the ordinary whole wheat flour OK to use? Is whole wheat atta something different? How generous of you to share your recipes and knowledge. I live in a very rural area of Maine and the nearest place to eat Indian food is more than an hour away, so I make my own, although I am not Indian. What a wonderful world we live in, that we can share foods and culture from all corners of the Earth. Peace through food!